The supply chain is evolving. Without adapting to the latest tools and technology, your business will be left behind. Businesses are constantly looking for the “next big thing” that will offer a competitive advantage and new supply chain management tools are here to help. A huge burden businesses of nearly every kind face, is the excessive and fluctuating cost of shipping goods around the world. Furthermore, traditional logistics processes have become outdated and can take too much time which could be better spent elsewhere. Below, we will offer 3 ways you can improve logistics efforts, streamline airfreight, and save on costs along the way. A particular theme that is nearly impossible to avoid are the disruptive technologies making their way into the supply chain and logistics industry. Tracking and shipping freight has never been easier thanks to these new technologies. Businesses are able to run more efficiently and with less hassle. Any company that has to deal with a large volume of freight, whether it’s traveling by air, ship, or truck understands the challenge. With so many variables to take into consideration, the process of managing freight can eat away at precious time and resources. However, new technologies like air freight portals and apps have put the user in the cockpit. Without utilizing these new systems, a business is only hurting themselves. Every business works differently. This fact can lead to some tricky situations when it comes to handling freight. New systems have come along to help create a customizable experience for supply chain managers. 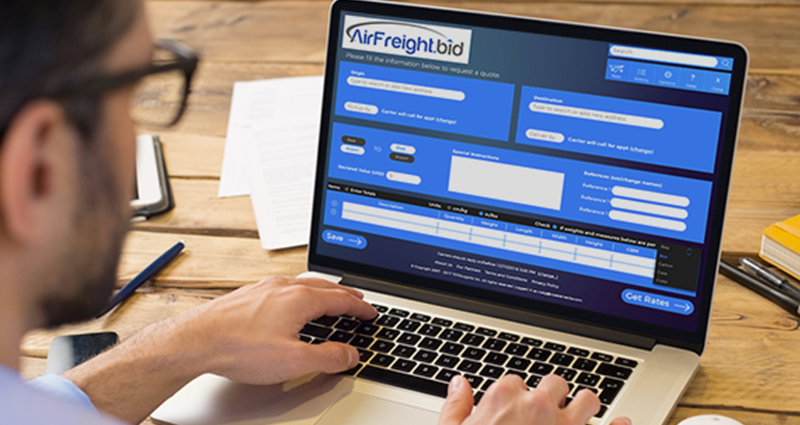 When it comes to AirFreight.bid’s portal, businesses can set up a system to meet their specific needs. Connecting supply chain managers with carriers, simply and easily, is now an option. These kind of portals can make an individual drastically more efficient when it comes to handling a company’s freight. Businesses are turning to automation to solve common issues that arise when handling freight. Automated systems can help cut down on the time it takes to find compatible carriers, while at the same time, increasing the capabilities of a logistics team. Tracking freight can be handled with new digital systems. It’s important to find the right system that works for a specific business. As stated above, no two companies are identical, and this means the way they handle their freight will vary as well. Having a system that allows a supply chain manager to customize automated applications can lead to a much more efficient logistics department. There’s a system out there for everyone, it’s just important to ensure that a business is using the right system that will meet their needs without exceeding their ability to utilize the technology.